Discover the secrets of acquiring wealth by exploring the mindset of the richest kids in America and other success stories including Oprah, Steve Jobs, Warren Buffett, Bill Gates, and even the Beatles. Are you ready to take the next step and create your own wealth story? Rip-Roaring Wealth: You’ve Waited Long Enough. . . . Wealth Creation Is Available to You NOW! 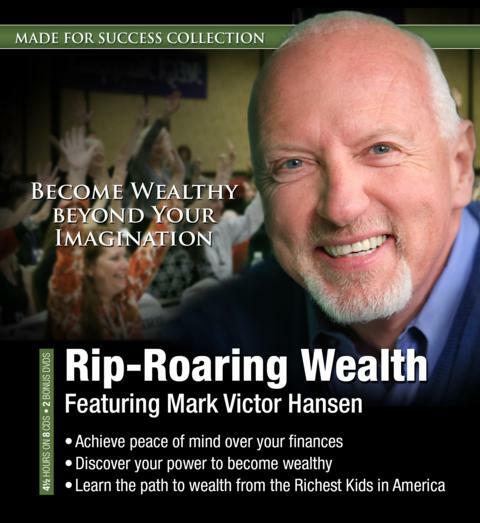 MARK VICTOR HANSEN has been using his dynamic personality to spread the message of unlimited possibility, for all people, everywhere, for over thirty years. He is most recognized for being one the co-founders of the beloved, and world record breaking Chicken Soup for the Soul series. He is a bestselling author and an accomplished entrepreneur. He is highly respected, and has been inducted into the Sales & Marketing Executive International Hall of Fame and accepted the Horatio Alger Award for Distinguished Americans Extraordinary Life Achievement in the area of Free Enterprise Leadership. Today, he is still passionate about ending poverty and illiteracy and continues to make an indelible mark through his writing, speaking, entrepreneurial, and philanthropic efforts.